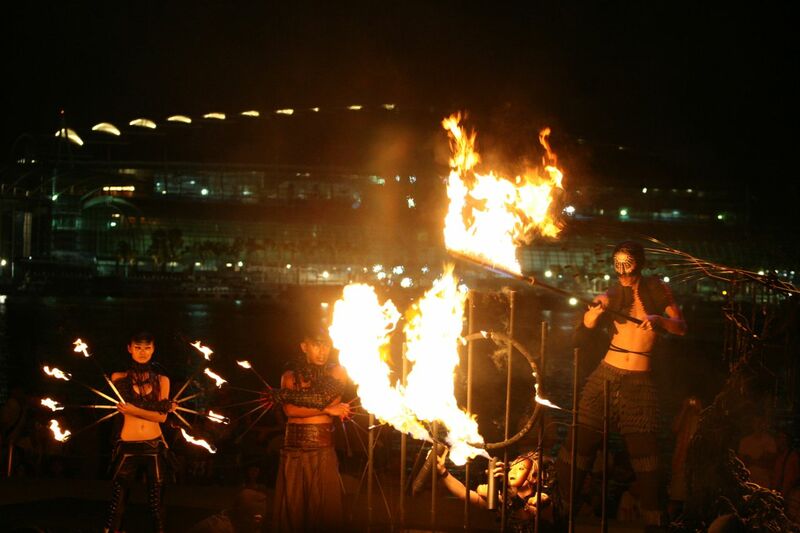 Fire at Singapore Arts Festival 2010 ! Fire Fire … Burning and lighting up the skies during the Singapore Arts Festival 2010 from 14th to 16th May 2010 at the Esplanade Park and Empress Place open areas. This was my 1st comeback event photoshoot, accompanied by Xinyun, who was able to take time off and join me ! We started off with a fire theme arts performance by Starlight Alchemy, titled Fires of Eden, at the Esplanade Outdoor Theatre. Xinyun managed to find seats at the last row and we set up our tripods, waiting for the performance to start, chit chat while waiting, passing a bit of my knowledge to my disciple Xinyun. Once the performance started, we were mesmerised by the fire performances and dancing, busy snapping away. More photos of the performance can be found here on my Flickr ! 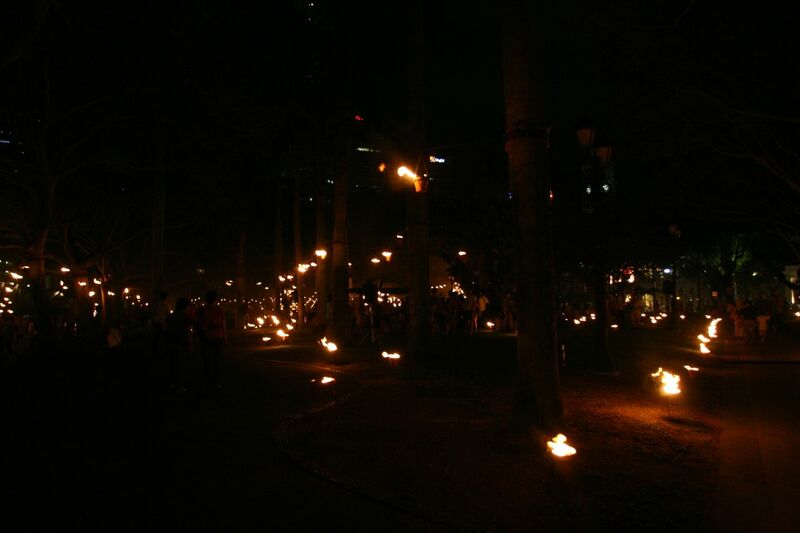 After the performance, we walked over to Esplanade Park, discovering a brightly lighted area, lots of fires brightening up the skies, providing warmth and music in a beautiful quiet Esplanade Park. 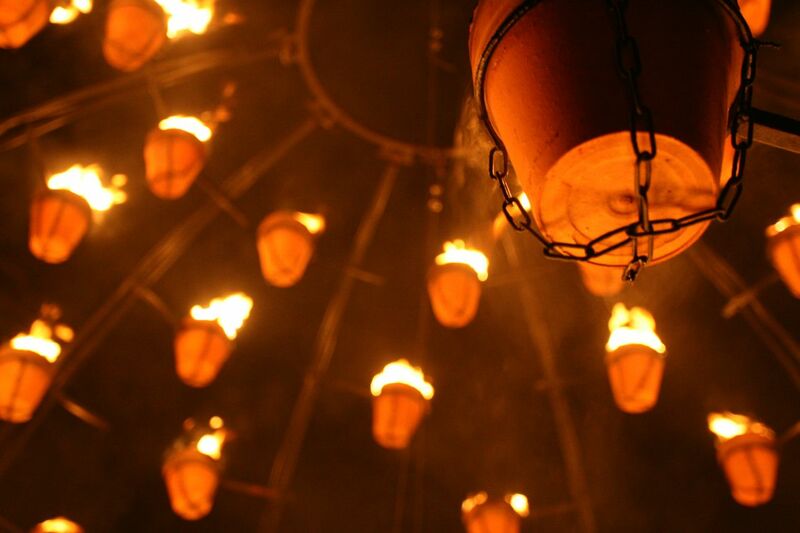 The view was magnificent and intriguing, it was like entering into a dreamland of many fires, this is known as Invitation to Dream – A Fire Garden Installation by Compagnie Carabosse from France. Relaxing swings, hanging garlands of firepots and huge ‘fairy fireballs’ – metallic spherical frames studded with fire pots, along with beautiful music in the backgrounds, welcomes us to dream and always keep our fire inside us burning to get our dreams come true. More photos can be found here on my Flickr ! 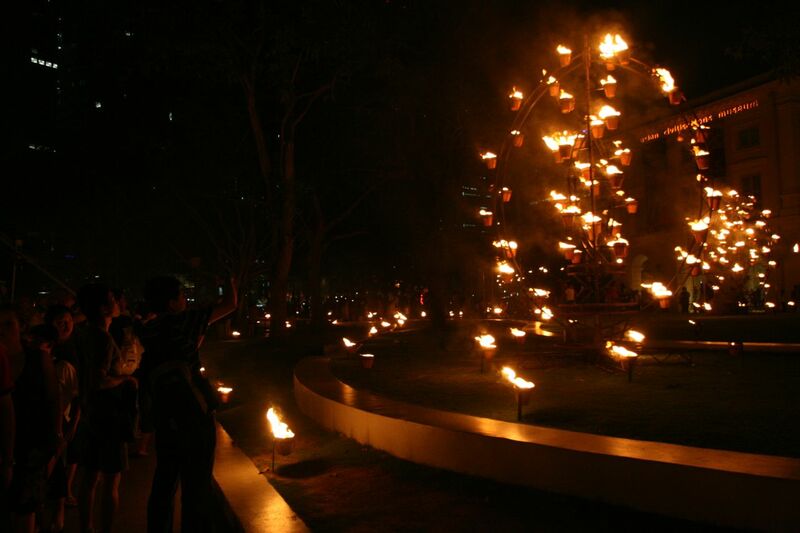 Continue walking towards Empress Place, Meli Melo, Charcoal Ball, A Fire of Vests, Stovepipes welcomed us to another dreamland of fires ! The beauty of the fires illuminating the skies of the Singapore River, absolutely beautiful. Walking away from the fires, looking back again, the fires were so beautiful, inviting u to dream, live your dream and keep your fire burning inside you always ! Yes, it’s very beautiful, love the events that were being brought into Singapore, always good photography opportunities !